Jodi Wei has had an exciting few years. Over the last three years, Wei quit her corporate job, traveled solo to all seven continents, and started an all-women adventure travel company. Wei, who grew up in China and is now Chicago-based, saw an opening for women adventurers in the tourism market and took a leap. Her company, Travel Her Way, takes women on adventures including the Everest Base Camp trek, hiking across Bhutan, and trekking the Inca jungle. Travel Her Way also has a charitable focus, contributing economically to local women and children in the countries it visits. Starting a tour company from scratch had its challenges, but Wei persevered, telling herself quitting on her business wasn’t an option. 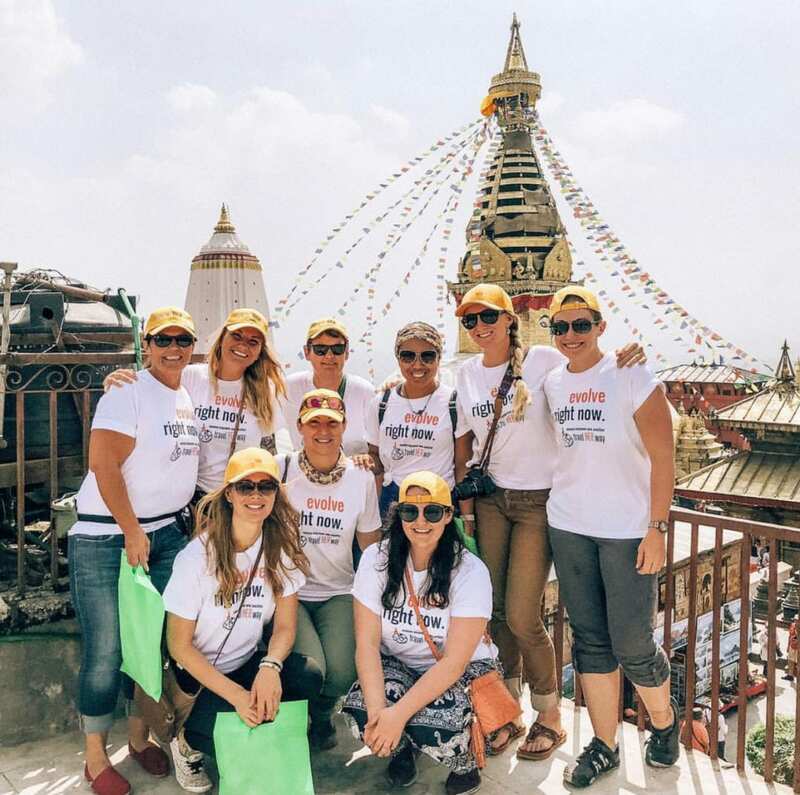 Now, Travel Her Way has a strong and growing presence in the women’s adventure travel sphere, with many alumnae across the globe. Unearth Women (UW): How did you decide to start Travel Her Way? 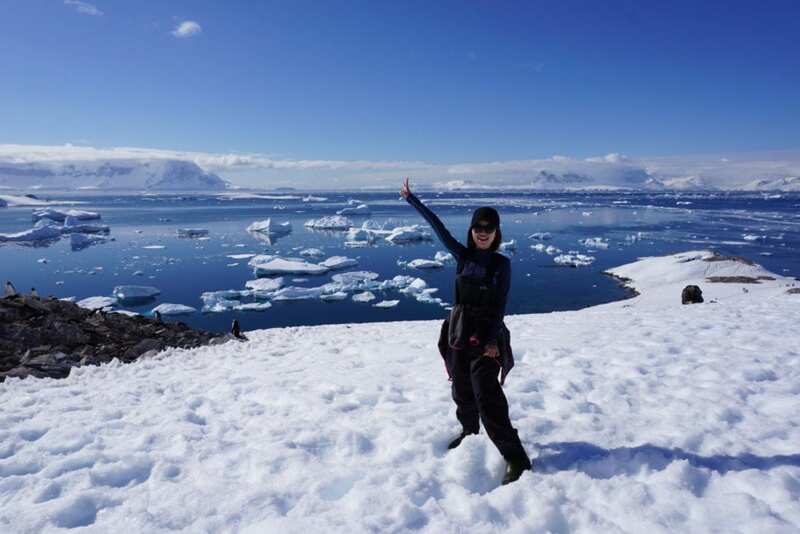 Jodi Wei (JW): In 2016, I left my job and decided to take one year off to travel around the world by myself. I have gone through a lot of challenges to complete the journey, but it was the best decision that I ever made and is what inspired Travel Her Way. This incredible experience helped me build an inner strength I never knew was there and inspired a belief in myself—a belief that I could do anything. I wanted to share this experience with more women and encourage them to step out of their comfort zones and start traveling solo. That’s why I created Travel Her Way. UW: Why was it important to you to make your boutique adventure company 100 percent geared toward women? JW: Born and raised in China, I grew up in an environment where women were expected to behave in certain ways and meet different cultural expectations. I was once very self-conscious and worried too much about what others thought of me. It was my solo journey around the world that helped me build my inner strength and made me believe in myself; and believe that I could do anything. I wanted to share my adventure and experiences with other women. My hope is to inspire them to take on challenges and do things they never thought they could do. In this day and age, I truly believe women can do anything. Sometimes we just need some courage to make it happen. I believe the best way to empower and inspire others is by sharing authentic experiences. This was the basis of Travel Her Way and why I decided to do all-female trips — to gather like-minded females and provide a space to encourage each other and themselves. When you see your girl tribe able to trek to the foothill of the world’s highest mountain, you know you can do it, too. UW: What has been your biggest challenge with starting Travel Her Way? JW: The biggest challenge when starting the company was to find the first group of customers who were willing to travel to one of the poorest countries in the world with a brand new company. I am a marketing professional and have had years of experiences working at big corporations. When it comes to launching a new business, it was much more difficult than I expected, especially with limited resources. I had leveraged different marketing channels and applied various tactics, but none of them worked. There were only three months left until the first group was going to depart. I still had very few people signed up for the tour, but I had told myself that cancelling the trip was not an option. I decided to build a brand ambassador program. I reached out to hundreds of outdoor enthusiasts on social media. I was able to locate dozens of people who were interested in joining. 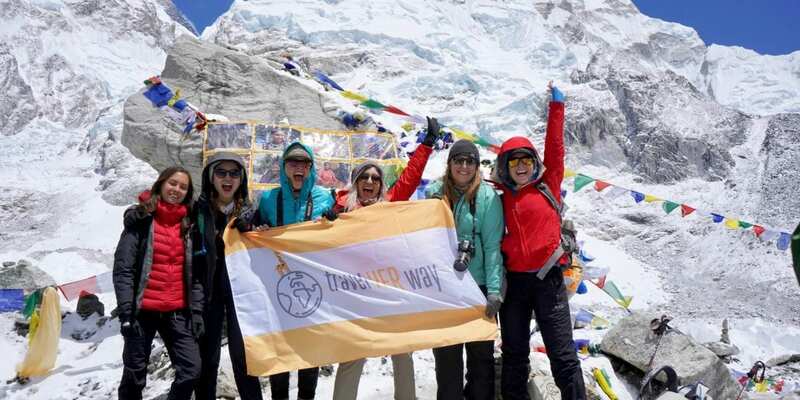 With the successful launch of our first Everest Base Camp Trek, I was able to showcase Travel Her Way’s mission and start building trust among our targeted customers. UW: Can you tell us about the charitable aspect of Travel Her Way and why this is important to your company? JW: During my solo travel journey, I met many women who needed help to survive, especially in developing countries. After returning to the States, I truly wanted to find a way to help those in need. Travel Her Way has built the Care Her Way program to launch different charity projects. To name a few, for every trekking group that we bring to Nepal, we will cover a local child’s one-year worth of education. 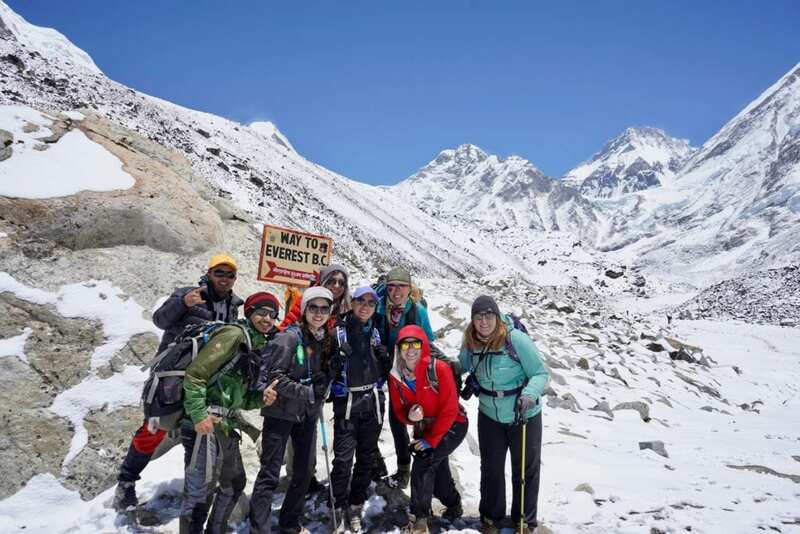 I am also working with a local NGO to develop a charity trek that will combine the Everest base camp trek and women-empowerment volunteer program. Volunteers will teach Nepalese women different kinds of skill sets and knowledge including life skills, leadership skills, English speaking, and women’s rights. UW: Some of the trips Travel Her Way offers are in countries that have more conservative cultural expectations for women. Has this affected Travel Her Way’s trips? JW: When you travel with Travel Her Way, we help you bring a positive impacts to women in other part of the world, especially to the countries where women need help to survive and live a better life. With all that being said, it’s really not how Travel Her Way is affected, it’s all about how we can impact other peoples’ lives. UW: How has being a women’s travel business owner affected your own life? JW: With a mission to empower women through adventures and giving back to communities we travel to, I feel my life has become so much more meaningful. I will continue to grow Travel Her Way and make positive impacts to as many women as I can. UW: What is your personal most meaningful adventure travel experience? JW: When I was doing a multi-day trek in the Everest region, I visited a village named Khumjung. It’s a beautiful village where you can see the Himalayas. I was wandering around the village and saw women doing farm work and building houses. Usually, that’s considered to be men’s work. I found it strange so I asked my guide about it. He told me that those were widows whose husbands were expedition staff and lost their lives when climbing Everest. Fortunately, women living in this village were able to learn essential skills to make a living. Now they help each other to survive. Women that live in developing countries like Nepal have little or no education, no land rights or independent income. They are voiceless and they need help. I was really touched to see how strong those women are, and how they support each other. This trip inspired me to build Care Her Way, the charity program that Travel Her Way launched to give back to local communities. UW: How do you envision Travel Her Way growing in the future? JW: Travel Her Way will keep doing what we believe and continue to inspire women through great adventures and support sustainable tourism by giving back to local communities. Sarah is a writer and blogger who runs the travel blog Endless Distances. 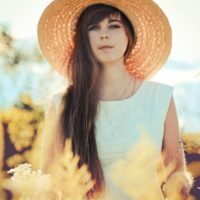 Her writing has been featured in other publications such as Artful Blogging, Travel Her Way, Hostelling International, and various tourism board magazines. She spent four years living in the UK, where she did her MSc in Occupational Therapy and worked with multiple refugee and asylum seeker organizations, including Refugee Women's Centre. She is fascinated with the intersections of travel, health, and women's issues, and uses her writing to encourage people to 'travel well,' in all senses of the phrase.